When Thomas's family is annihilated in a raid, his life changes forever. Wandering for days, starving and hopeless, he is rescued by a monk and is taken to live at the abbey of Eynsham. There he receives a curious education, training to be a scholar, a merchant and a spy. His mission: to develop commerce in Muslim lands and dispatch vital information to the Holy See. His perilous adventures during the 11th century's commercial revolution will take him far from his cloistered life to the great trading cities of Almeria, Amalfi, Alexandria and Cairo. 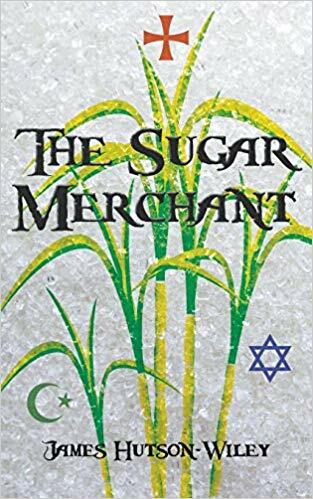 Spanning the tumultuous medieval worlds of Judaism, Christianity and Islam, The Sugar Merchant is a tale of clashing cultures, massive economic change and one man's determination to fulfil his destiny. Jim Hutson-Wiley's long career in international trade and project finance involved extensive travel and residence in the Near East and Europe. He graduated with a BSFS from the Georgetown School of Foreign Service and received an MBA from the Wharton School. He currently lives in Miami, Florida with his wife and two Chartreux cats. …Here, it is a vivid, lively hubbub of business and danger that was superbly brought to life. Overall, I'd certainly recommend The Sugar Merchant to fans of medieval fiction which is well researched and skilfully told.